Queensland Health clients who are not proficient in English will be provided with an interpreter at no charge. The Queensland Language Services Policy outlines the Queensland Government's commitment to use interpreters and translated information to improve access to the full range of government and government-funded services for people with difficulty communicating in English. 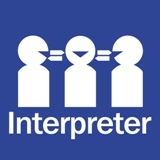 Professional interpreters should be engaged through the Hospital and Health Interpreter Service Coordinator or your using your local procedures. A Standing Offer Arrangement has been established for the provision of interpreting and translation services. This is a statewide whole-of-government arrangement available to all Queensland Government agencies and other eligible Queensland Government-funded service providers. In accordance with principle 5.3 of the Queensland Procurement Policy (PDF, 480KB), common-use supply arrangements are mandated for use to achieve savings and benefits wherever practical. For more information, contact HSQLanguageservices@health.qld.gov.au. Further information and resources on the Standing Offer Arrangement can be found on the Queensland Contracts Directory website. If you have any queries about the Standing Offer Arrangement, please contact Craig Pyke at 07 3096 2270 or HSQLanguageservices@health.qld.gov.au.